Any camper, survivalist and hiker knows that keeping the appropriate cookware in your backpack is of crucial importance. It depends on what type of adventure you’re onto and it’s important to prepare accordingly. 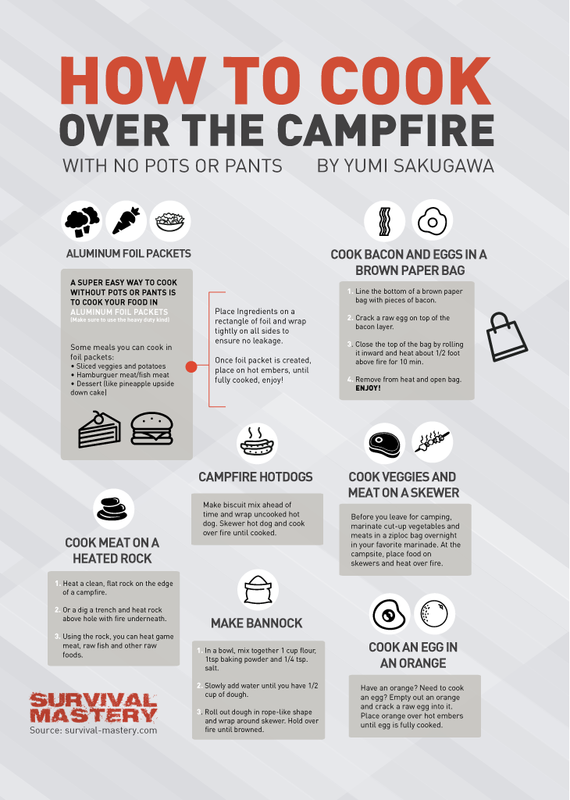 If you plan on cooking food and not just chew on your dehydrated food resources, you may have to prepare either a cooking stove, or learn to build your own campfire. The first seems easy, but it also means that your backpack may weigh slightly more. If you learn to build a fire, you will benefit a lot from this – you will have a heat source for cooking meals and also to keep you warm. Whichever the case, you will also need cooking equipment. For example, you can’t boil water if you don’t have a metal can. 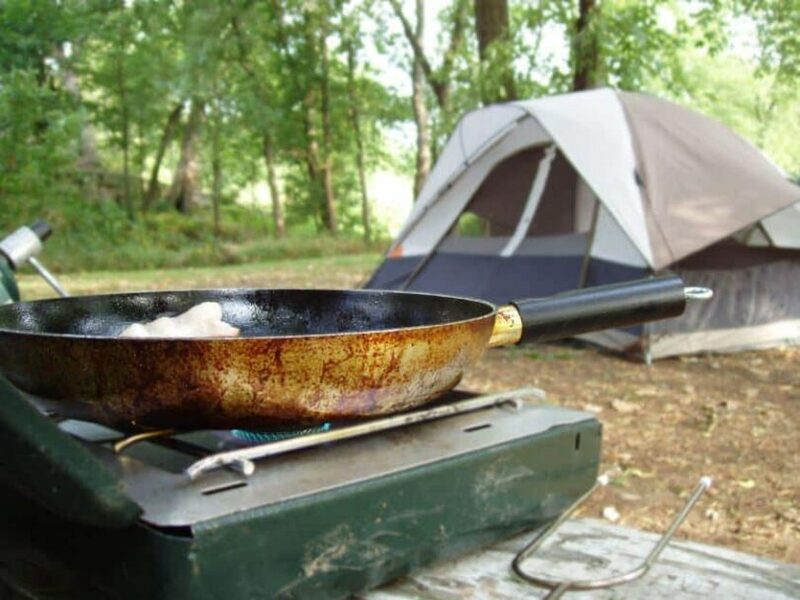 So, in this article we will explore the various cooking gear and equipment you can make part of your next camping adventure. A very useful cookware is the tripod and spit. These two cooking gear are similar in use since they let you hang your food right above the fire flames. You can attach various pots, kettles and similar gear to the tripod and spit. You can also use them to hang a grill or string with some meat attached on top of the fire. What’s very handy when it comes to tripods and spits is that they can be easily disassembled and take very little space in your car. You can even take them attached to your backpack since they require only metal legs for positioning. It is true that most legs are made of iron, which weighs some significant amount, but as long as you’re an enthusiast, nothing is impossible. Most tripods have adjustable chains or strings, which is also a good idea. With it you can determine the length of the chain depending on high strong your fire is, and how high the flames go. You can also attach a Dutch oven to the string and cook virtually anything. Some customers say that this particular product is shorter than they initially thought, but are happy with how sturdy and stable it is. Overall, clients are satisfied with this product. Another popular cooking gear is the rotisserie. It can be used both as a rotisserie and a spit (as you can hang some pots from the rotisserie itself). This equipment is great if you want to grill poultry, fish, pork, etc. Most products can’t be adjusted in height, unless the manufacturer explicitly published that information. Nonetheless, some modern rotisseries have run on solar batteries to keep the stick rotating, without you having to do anything but wait for the meal to be ready. 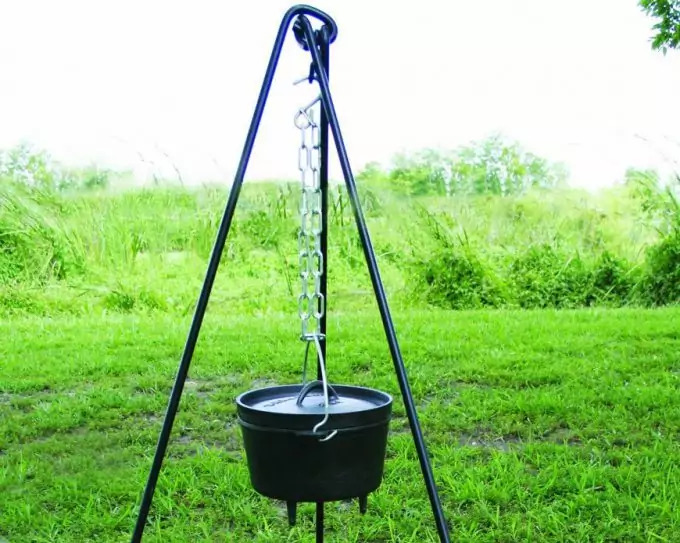 A great product on the market is the Grizzly Spit Rotisserie by Grizzly Spit LLC. It also has batteries which can run for up to 20 hours. All the rod supports are made of steel. It also offers in the package 2 forks and a bag where to keep all the equipment. Keep in mind that the motor uses 2 D batteries and they need to be replaced every 20 hours. Also, the battery pair isn’t included in the purchase, so you have to buy it separately. Another handy gear to consider adding to your cooking equipment is the long-handled skillet. These are very handy since you can cook food just like you do at home, but have a long handle which makes sure to protect you from the fire. If you plan on buying such a tool, make sure the handle is long enough for your purposes. If you plan to have a large fire, purchase a skillet with a very long handle. If you prefer smaller fire pits, a shorter handle will work for you. Along with the long-handle skillet, a popular cookware is the cast iron pots. These can withstand very high temperatures and you can cook anything in those. They may be quite heavy and are not suitable for backpackers. It’s ok though to bring one along if you’ll be driving to your campsite. Also, a cast iron pot can be used successfully with a tripod or even a spit, since you can hang it on a chain from the tripod or spit. 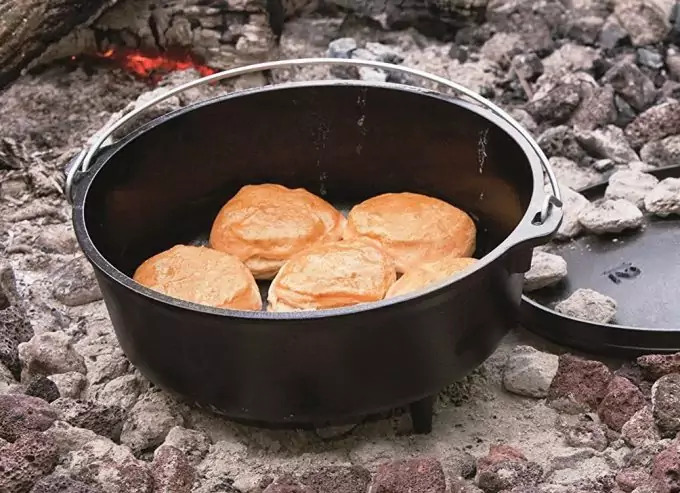 There are lightweight versions of the cast iron pots and Dutch ovens, but since they are made of lighter material, they may not able to withstand long-term use. A highly valued product on the market and among customers is the Lodge Camp Dutch Oven, 6 Qt. Its volume is 6 quarts. Also, the lid can have two uses – as a lid and as a griddle. The customer also has a lifetime warranty. The manufacturer claims that the inner surface is almost non-stick and is a highly durable and very sturdy cookware. You are also advised to dry the entire pot with a towel; otherwise moisture can promote rust quickly. This damages the pot’s surface. You can also use this pot virtually anywhere as it can withstand very high temperatures. You can cook over a campfire, and also in your home oven. The pot has small legs, which can be used to keep the oven snuggly placed above charcoals. Overall, clients are highly satisfied with this product as it is exactly what they expected and needed. Hardly any of them were unhappy with this purchase. Another cooking gear you can’t forget to bring along are skewers and all types of forks. 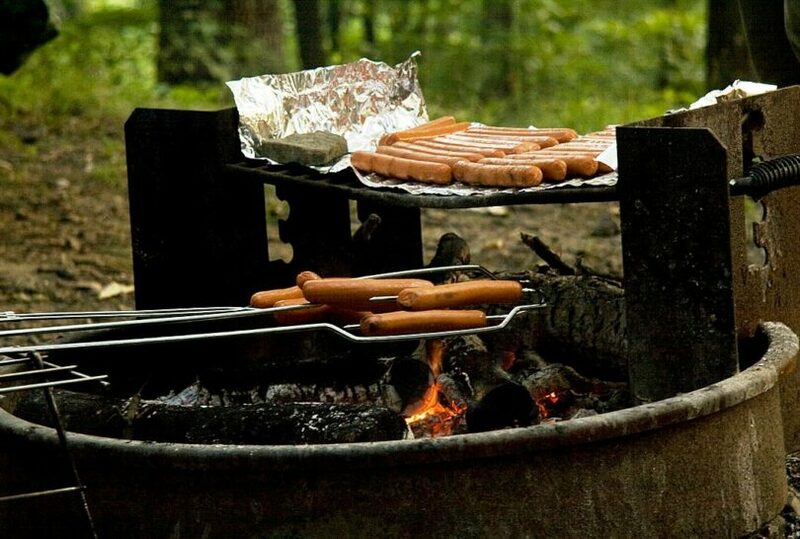 You can stick any food to them and grill or simply warm it for a while over the fire. Some skewers can be folded and thus they take less space when you pack them. Most forks though are easier to pack if you’ll be driving to your campsite. You can cook virtually anything by sticking the food on them – meat, vegetable pieces, fish, poultry pieces, marshmallows, hotdogs and sandwiches. To make sure your food doesn’t fall into the flames, push the food pieces as far back into the skewer/fork as possible. You can sprinkle some herbs or spices on top of the food, and you’re ready to hold it near the fire. Don’t leave it like that though – rotate it slightly and regularly so it cooks evenly on all sides. A word of caution – don’t place the food right in the middle of the flames or you’ll end up having a hard black coal. To have a nicely browned meal you should hold it close to the fire (the flames shouldn’t touch the food), near the heat. A great product on the market, comprising 9 pieces of forks is the Rome’s Set of 9 forks. As you purchase this product you will receive four 22″ forks, 2 hotdog forks (33″), extension forks and a hotdog roaster. The entire set is made of chrome-coated steel. This entire set is highly valued among customers and most of them are very pleased with how easy they are to handle. Children never have problem using them to cook something, since each fork is long enough to keep anyone at a safe distance from the heat source and flames. All handles are made of wood, so no worries about plastics being burned. Another handy gear is the portable grill. This usually requires that you bring along the gas if the grill uses fuel. Otherwise there are charcoal variations, but again – you have to take charcoal yourself. Coleman RoadTrip LXE is a grill, which is very highly rated among thousands of customers on Amazon. It’s powered by propane. It sports wheels for ease of transportation; it’s foldable and has handles. Surfaces are made of porcelain, cast iron, and are very easy to clean and remove all dirt. Coleman used a PerfectFlow Control System method to ensure that no matter the outside temperature, the heat in the grill will be generated evenly and steadily, with no disruptions. You will also receive two cast-iron and porcelain grates. Also, you will not need any matches or lighters to start the fire. 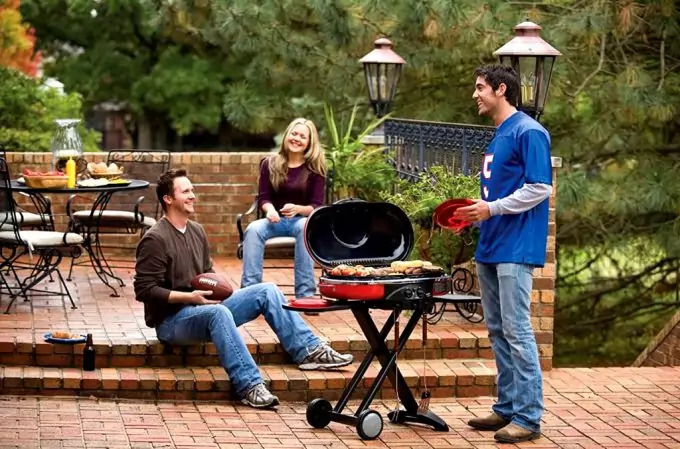 The grill uses an InstaStart method to quickly ignite the fire without any effort from you. As one customer gives additional comments and advice on using this particular model, users shouldn’t use the high settings on the grill unless you mean to use with the burner or griddle attachment. Otherwise, use on low settings. Another great suggestion is to preheat the grill (on low or medium heat, but using burner attachments), then to close the lid and wait for a while to have the grates to heat up and for the heat to be evenly distributed inside the grill. Otherwise, there are no other special considerations about using this model. As long as you keep the lid closed, everything is fine. Keep in mind that even with the lid closed, the high setting is a warning, and you are discouraged of using it. Most customers report that food is usually cooked very quickly, so you may want to keep an eye to your meals on a regular basis. If you expect a meal to be ready within 30 minutes, check it after 20. It may be ready. You can make a wide variety of foods as well: from hotdogs, to roasted vegetables with their natural juices, and even pancakes which (as reported) didn’t stick to the grill at all. Overall, for the price of $130 this grill is a great purchase and worth every penny. A more lightweight alternative to the grill is the portable fire pit. This equipment is useful if you still want to have a small campfire but aren’t skillful in starting one. Most portable fire pits burn on propane. Some models come with automatic igniters, some don’t. It depends on your budget and how much money you’re prepared to set aside for such a purchase. Also, you can control the size of the flames and fire with a comfortable regulator. People enjoy using portable fire pits, as it takes very little time to prepare the fire and since there are actual flames, people can sit around it and warm snuggly around it. A popular product among campers is the Heininger 5995 Propane outdoor fire pit. People are very happy with and highly recommend it. Some recommend that people don’t use wet rocks before they start the fire, but first to dry them completely (preferably overnight). Also, since this model is reported to burn the fuel pretty quickly you need to stack on fuel before you drive to a campsite during the weekend. Since this model has a 20 lb tank it can hold 430 000 btu. If you plan on using your fire pit on the highest setting, then it will burn the entire fuel in the tank for 7.5 hours. If you use it on low, this means roughly about 15 hours. Another identical fire pit is the Outland Firebowl Deluxe 890. This one isn’t as popular like the above, but customers are all satisfied and recommend purchasing the Outland portable fire pit. It holds 58000 btu and the fire doesn’t produce smoke, due to the fact that it uses propane. The same applies to the Heininger model above. It is CSA approved meaning it’s safe to use anywhere in the nature. It’s made of quality steel and has an enamel coating to lengthen the life of the product, and protect it from the harmful heat and flames. You can find some decorative stones that come with the product. There is also a protective lid to keep the inner coating from the elements, when you don’t use the fire pit. There are also straps to use to keep the lid in place. This is especially useful during transportation to your campsite. Some people claim they can use these small fire pits at home, but this is not advisable, since propane causes poisoning and also, other injuries may occur in a closed area. If you are very careful and have a nice well-ventilated porch or balcony, and you’re very attentive and cautious then you probably won’t have any problems. Otherwise, you’re discouraged at using in close areas with little ventilation. If you can’t imagine carrying in your backpack all that cast-iron pot or all these fire pits or grills, then you will be happy to learn that you can still go camping with more modest cookware. The OuterEQ set is a set with 8 pieces and all handles are foldable, including any spoons along with the set. All of the pieces can be snuggly placed one within the other. The surface is made of non-stick material. The entire set is made of aluminum to ensure it will be lightweight. The set includes a frying pan, soup spoon and pots. All of them fit in a mesh bag to keep them together while you carry them in your backpack. They may not withstand heavy fire, so use them only on a modest fire flames. Ideally you can get a portable lightweight stove. Most hikers and trekkers use such on a regular basis. They take very little space in your backpack, weight little and are easy to use. If you are interested in such sets and want to know more, take a look at our in-depth reviews you can find in our top 10 article. 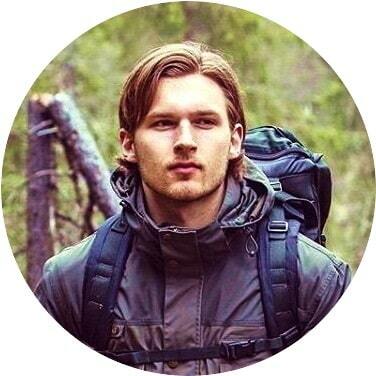 So, when we come to the stove, using a light compact hiker’s stove can seem the best option. 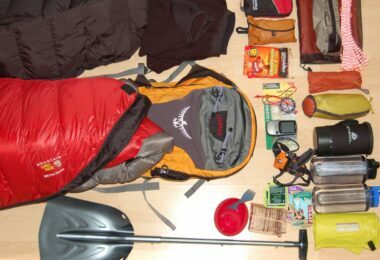 One of the leading manufacturers of hiking and mountaineering equipment and gear is Primus. 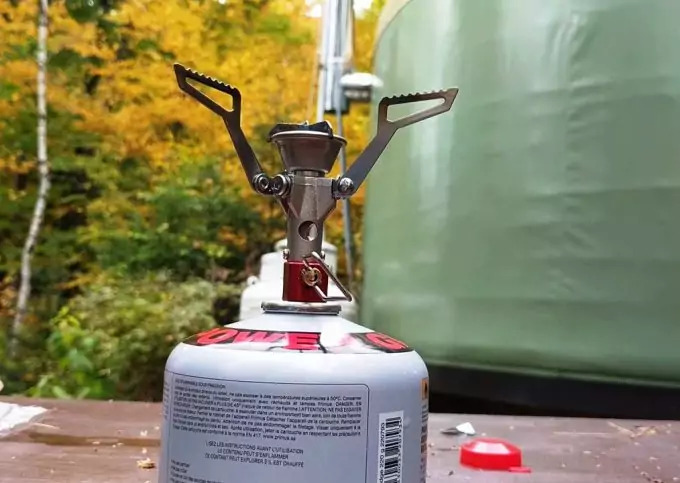 The Primus Classic Trail stove is a high quality product and weights only 8 ounces. It’s true you will need a lighter or matches to start the gas, but overall it’s a durable and reliable product. When you purchase the stove, keep in mind that the gas bottle isn’t included. You will have to buy it separately. If you plan on cooking for a long time, you may have to stack on a few more gas bottles. One bottle may run out if you use it for 70 minutes total so, you may not be able to cook complicated meals. As long as you have spare gas though, you could plan your camping experience better. Most people claim they can have boiling water within 4-5 minutes. Of course, keep in mind that, since the flames are small and exposed, during very low temperatures, the above scenario may take more than 10 minutes. Also, another consideration to be aware of is that during strong wind, igniting the gas may be very hard. Also, even if you managed to start the fire, you may have to keep the stove away from direct wind or the flames will be blown and you’ll have to reignite them. Still, these are amazing camping items and we recommend having one for those nights when you don’t feel like going for fire wood. We also have reviewed several products and you can find more about them in our article about the best portable stoves. 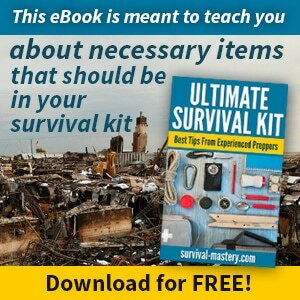 Preparing for your camping experience may be daunting at first. You should look through all the cooking equipment you have or purchase new. You also have to compile recipes to accommodate to the cooking gear. It definitely takes time to get used to all that, but as you go camping more and more often, you realize it’s actually fun. You expand your initial knowledge and add some more skills in cooking and make the right cooking and food choices. It’s a world to explore, so enjoy it!